Martin Luther King Jr. Early College is a 6-12 school in the Far Northeast of Denver. The student population is 68% Hispanic and 27% Black. 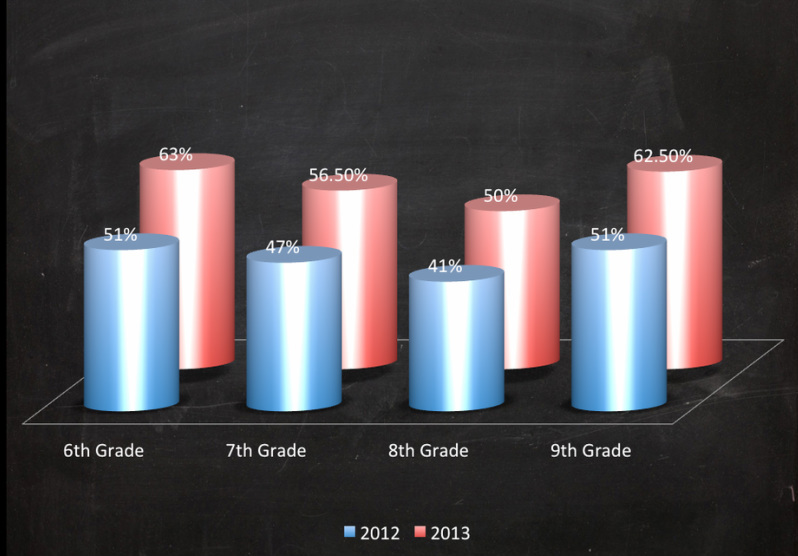 On the 2012 TCAP, 78% of all students were below proficient on the Mathematics assessment. Most of our students believed they couldn't be successful in math and as a result, math has traditionally been their least favorite subject. All of that changed in the 2012-2013 school year. After one year of 360 Degree Math implementation, students at MLK JR EC outperformed their peers across Denver Public Schools. The breathtaking data below shows the change in median growth percentile between the 2012 and 2013 assessment. 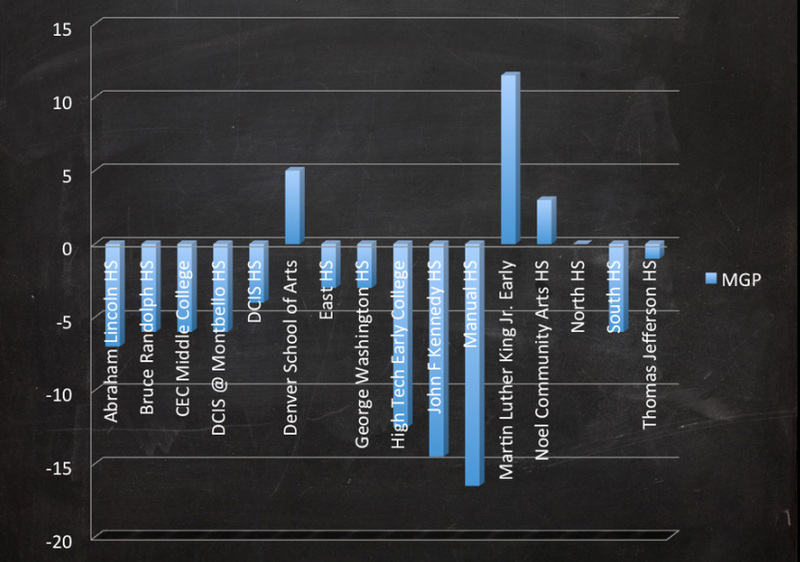 To illustrate this significance of this change, the table below shows how MLK's Algebra I students performed compared to other high schools in Denver Public Schools. Keep in mind, 78% of MLK JR EC were below proficiency the year prior to the implementation of 360 Degree Math.